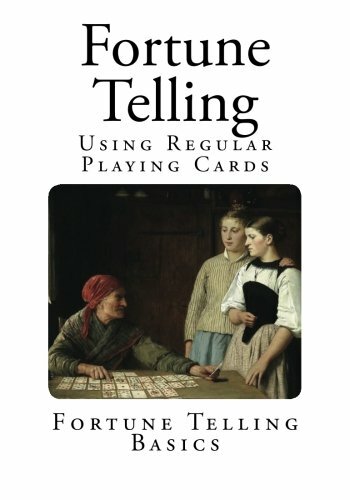 Fortune Telling – Using Regular Playing Cards, Explanations, Meanings and Symbolism, Fortune Telling Basics, Brand New Edition, Here we present the more modern adaptation of the entire pack of 52 cards to the fortune-teller’s use. As the meanings differ materially from the ancient list just given, another complete list and several combinations are presented. In the modern usage, Diamonds take precedence and are considered to mean money, riches and success. Hearts next, love affairs, friendship, amusement and pleasure. Clubs, business matters, whether investments, appointments or settlements. Spades, losses or grief, trouble and anxiety, sometimes sickness and death. The various combinations are supposed to either accelerate or mitigate the several meanings. For instance—the ace of diamonds coming with the ace of spades, a railway journey—the nine of spades, usually taken to be a bad card, but coming with diamonds, speedy good luck, etc.